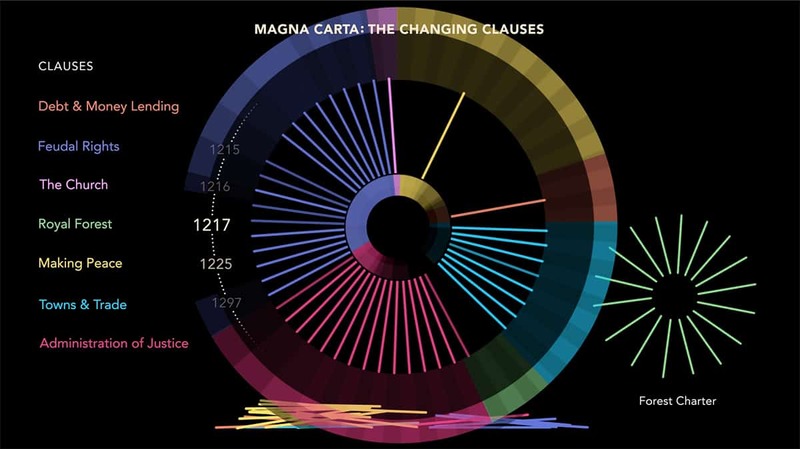 Spiral produced five videos for the British Library’s Magna Carta exhibition. An introductory video uses illustrations and animation to show the main themes in the clauses of the original Magna Carta. 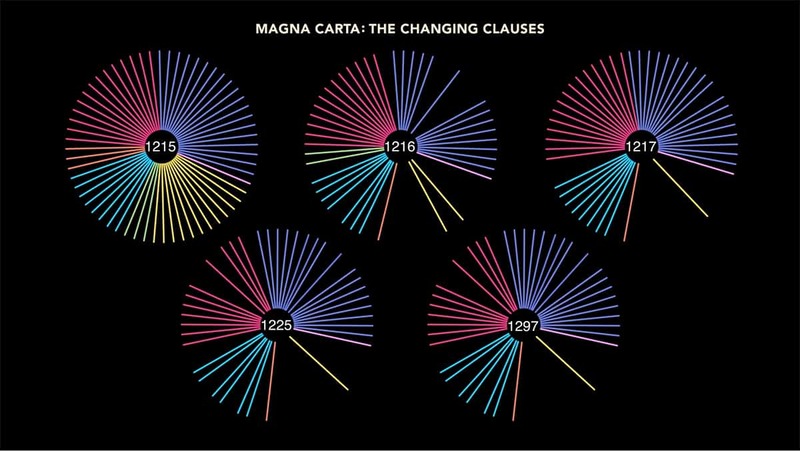 Subsequent videos use infographics to show how the clauses in Magna Carta changed over time with some sections being deleted and new clauses added.